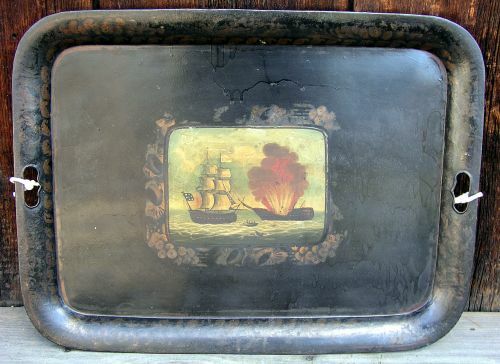 Large painted tin tray with wonderful painted center section depicting one ship at sail another under attack and another with people in a life boat. 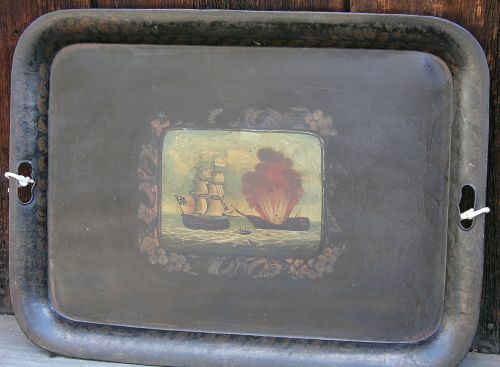 Has stenciling around outer edge of painting and along outer edge of tray that is worn but still visible. 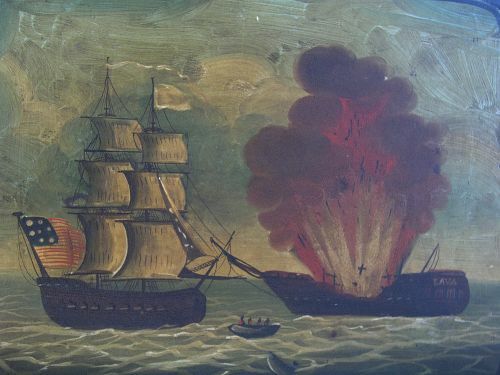 Has not been cleaned and there are drips that look like an old varnish?